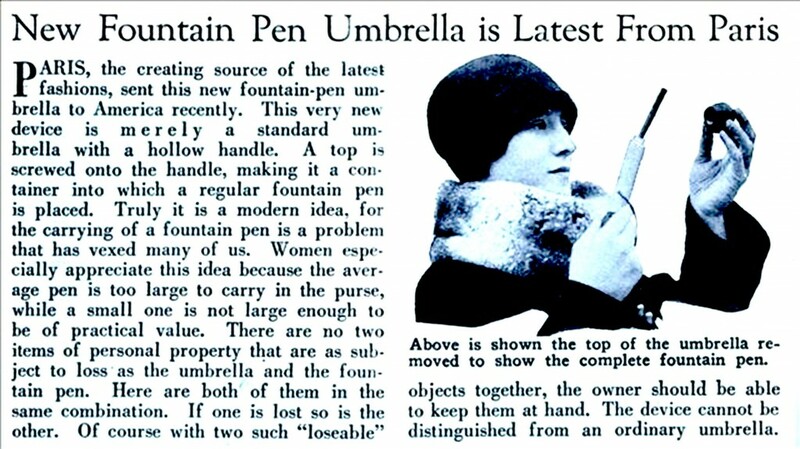 This 1929 Ad from Modern Mechanics shows the latest invention of the time: an umbrella which stores a fountain pen in its handle! We suspect it wasn’t very popular. An umbrella is fairly easy to forget, lose, or even break, so it may not have been the most practical design. Storing an eyedropper-filled fountain pen in an umbrella would likely lead to some ink burping and leaks. 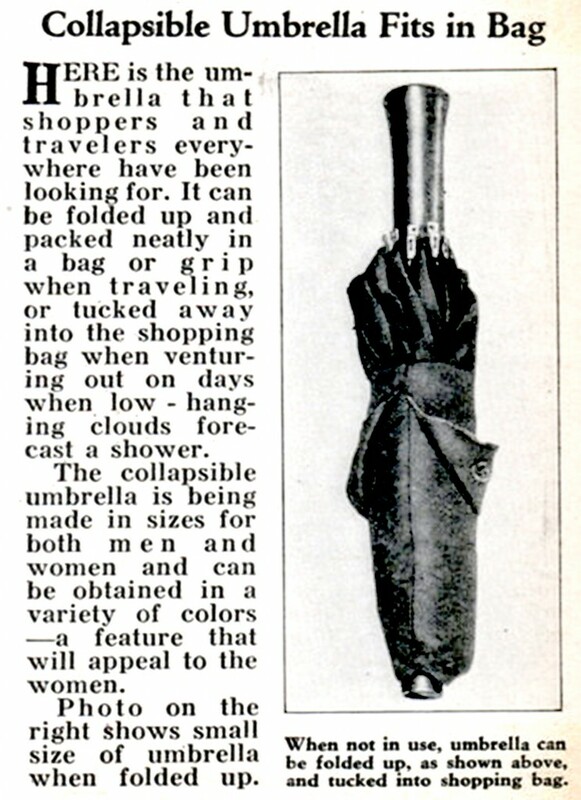 More popular, however, was the collapsible umbrella shown in the second ad, from a 1932 issue. I suspect that these days almost everyone has one or more of these. At least this could be kept in your jacket pocket or purse. Now all we need is a collapsible umbrella with a pen in the handle (Ron Popeil — are you listening? )!